If you’ve ever wanted to make yeast breads but thought they would be too complicated, this recipe will change your mind and impress your friends. The possibilities are endless for varying the ingredients; change the fruit, add fresh herbs, a different citrus zest. They also package nicely for gift giving! In a medium saucepan, bring the milk, water, sugar & salt to a simmer. Off heat and stir in butter. Allow to cool to lukewarm. Crack eggs into a small bowl and beat with a fork. Add beaten eggs to milk mixture and mix well. 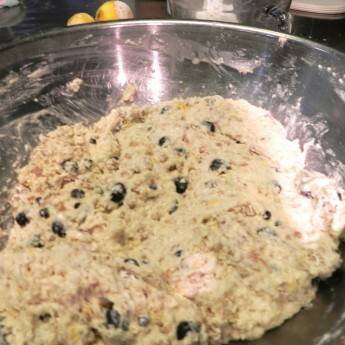 In a large bowl, combine yeast, flour, granola, zest and blueberries. Stir to combine. 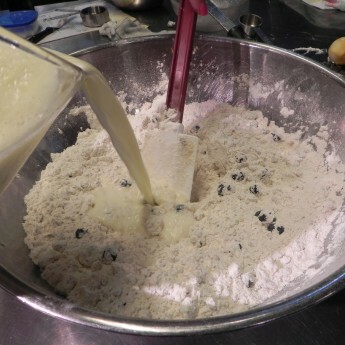 Make a well in the center of the dry ingredients and pour in the liquid mixture. Using a rubber spatula, gently stir mixture until well combined. Cover bowl with plastic wrap and place in refrigerator overnight. Line baking sheet with parchment. Using vegetable spray, generously spray muffins rings and roll rings in a bowl of cornmeal to coat the inside of each ring. Divide batter among muffin rings, sprinkle tops with granulated sugar. Spray plastic wrap with vegetable spray and cover muffins with plastic wrap (*sprayed side against muffins, this will prevent wrap from sticking and deflating muffins when wrap is removed). Allow muffins to rise until almost double in size, about 45 minutes to 1 hour. 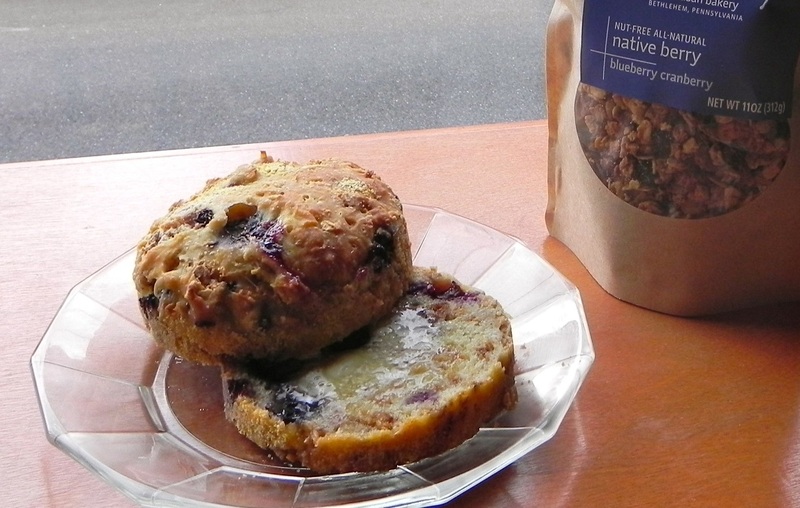 Carefully remove plastic wrap, place muffins in preheated oven and bake until lightly golden (about 25-30 minutes). Remove from oven and place muffins on a cooling rack. When you able to, remove muffin rings to allow muffins to fully cool. Muffins are very high and may be sliced into three slices (if preferred); serve with topping of choice…but honey butter adds a nice touch! We are really enjoying the recipes! Would LOVE to see a recipe for scones!!! Kate, thank you for reading and thank you for the kind words! 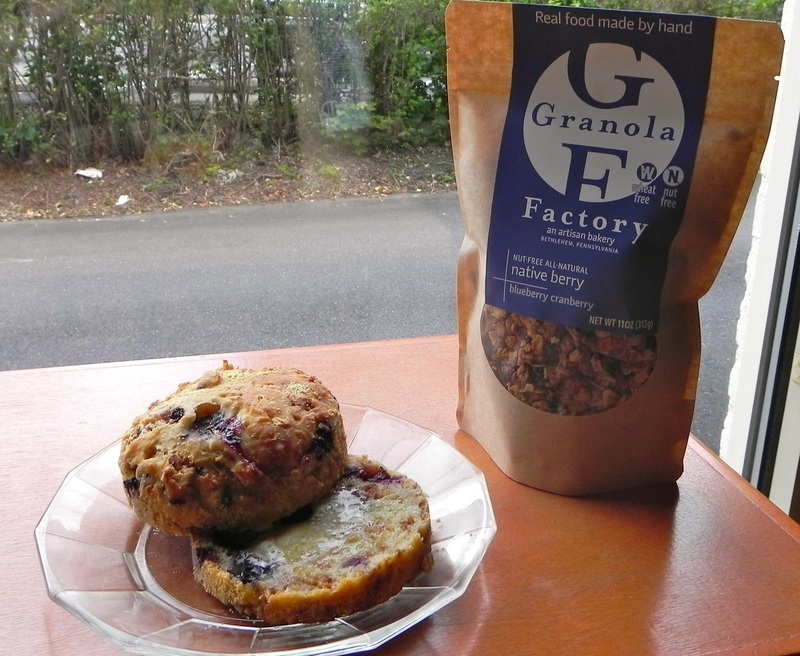 And, we have got a scone recipe coming this month! !